I wrote an essay about you, well about all of you. It was my first and rather daunting foray into nonfiction, though arguably, this is nonfiction. I’ve been burying my head in essays and collections of memories, debating what makes one legitimate and authoritative over another. How does one tell the truth? What is the truth? If my truth is different than your truth then who’s truth is truer? And always at the end of the day, how can we rely on any memories, especially our own? So I went wandering back through the one thing that seems to always tether people together; food, cooking mostly. I’ve spent my life perched on counter tops talking, drinking, tasting, talking some more. Life happens in the kitchen. We used to keep the piano in the kitchen because we spent so much time there. Those were the good years. I found myself wandering through a kaleidoscope of culinary shorts each staring a different lover. I tried desperately to adhere to memory, taste and sound, touch. But there were so many places with each of you I wasn’t willing to go again. I wrote about the months in the hospital and your silence on highway 55. 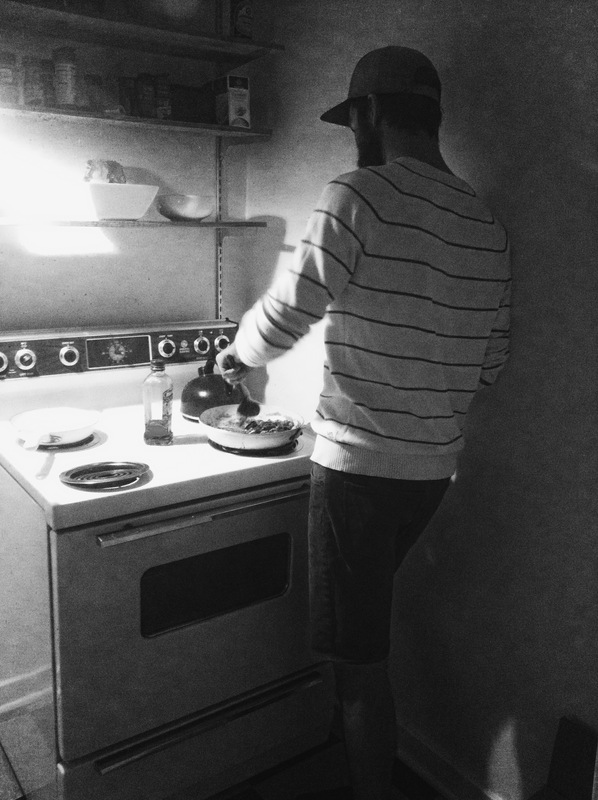 I wrote about being high and making french toast in the middle of the night. I wrote about learning how to love and hate at the same time and how often they grown from the same place, only fed with different waters. The time you sliced your wrist open, cutting garlic, sandy feet, freezing hands, your apartment, my apartment, that spring when we never spoke, and stoves. All the stoves in all the lands I could remember, they each had something different to say. And I’m still unclear what the point of the essay is. It started as a memory exercise because I wanted to know how you were doing, but the rest of them kept on leaking in the edges. It became a theory on love and cooking and how the two are like playing the same game or something like that. But it’s becoming something entirely other, I think what it says, is that you only get people for a certain amount of time, and that it’s okay. But getting there, that’s a whole different story. Maybe I’ll let you read it sometime soon. There is something about kitchens. I just don’t feel comfortable in a “dining room.” Give me a crowd around a tiny table in the kitchen any day. Kitchens are definitely gathering places. My most honest conversations with people, be they lovers, friends or family, always happen while rolling dough for pierogies or chopping vegetables. The rhythm of the kitchen lends itself to open souls, or something like that. Once again, you hit it out of the ball park with your knack for giving away just enough information. I really do love your posts! I think it’s awesome about the piano in the kitchen!